It’s worth noting that such “critics” often ostracize and single out the Jewish state with tactics that—throughout history—were directed against individual Jews, including exclusion, isolation and collective punishment. Indeed, this is what comes to mind when one hears calls for Dalhousie to reject partnerships with Israeli scientists, medical researchers, and professors—a disturbing infringement of academic freedom. Sadly, there are even those who go so far as to reject Israel’s right to exist, effectively calling for the Jewish people alone to be denied national self-determination. This is the “new anti-Semitism” of which Prime Minister Harper spoke—a term that has likewise been used by Liberal leader Justin Trudeau to describe bigotry against the Jewish state. As former Soviet human rights activist Natan Sharansky observed, we should be skeptical of “criticism” of Israel that involves demonization, double standards or the delegitimization of Israel’s very existence. Ironically, such toxic rhetoric only undermines legitimate debate over Israeli policies and the Middle East—about which many of Israel’s fiercest critics claim to be concerned. This narrative of Israel being “singled out” is repeated by Conservatives and pundits alike. I understand that there are those who criticise Israel unreasonably, but should it really surprise anyone that Israel is singled out? Regardless of your position taken, the Israeli state is, after all, an apple among oranges per se. The standard that Israel should be held to should be no more or less than any other colonial state, and I feel that the majority of criticism does not go beyond this. 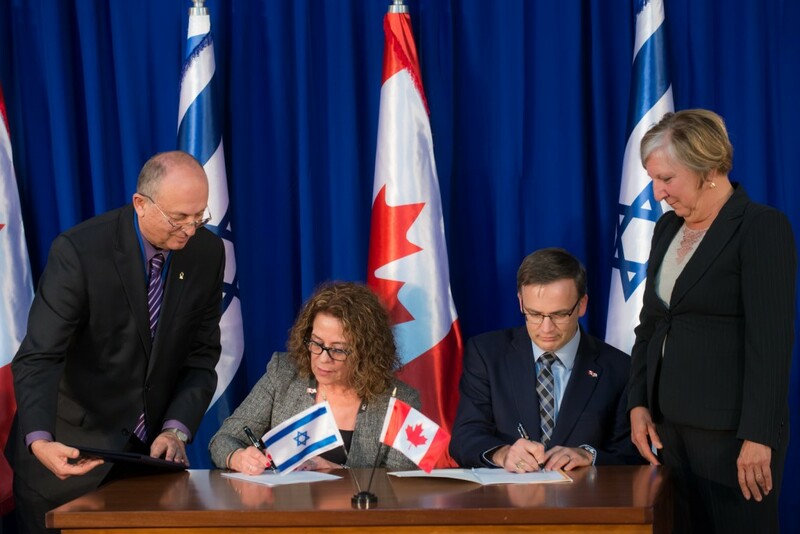 Ultimately, by taking such a one-sided position on Israel, Canada has weakened our influence in the region to finding and sustaining peace in the region. I know that for Conservatives, having a strong Jewish contingency will be favourable in the 2015 election (as they’ll need all the help they can get), but to do so at the expense of Canada’s diplomatic influence is short sighted at best.